Our Chicago tax dollars going to the trash Reviewed by Edgeville Buzz on October 8, 2008 . 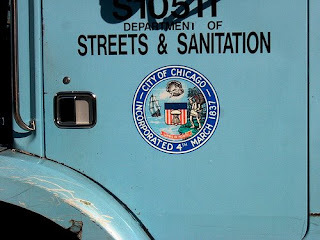 The Chicago Tribune reports that the inspector general found “widespread loafing by garbage truck crews” after spying on 75 garbage truck drivers and 145 laborers across 10 wards. In over 10 weeks of surveillance , not a SINGLE worker was observed doing a full day’s work. The report estimates that if the same work habits are true across the board, the loafing garbage truck workers are costing the city $14.3 million a year in lost wages. If the city is looking to cut jobs to ease the budget deficit, may we suggest a place to start? The entire report from the inspector general can be read here.